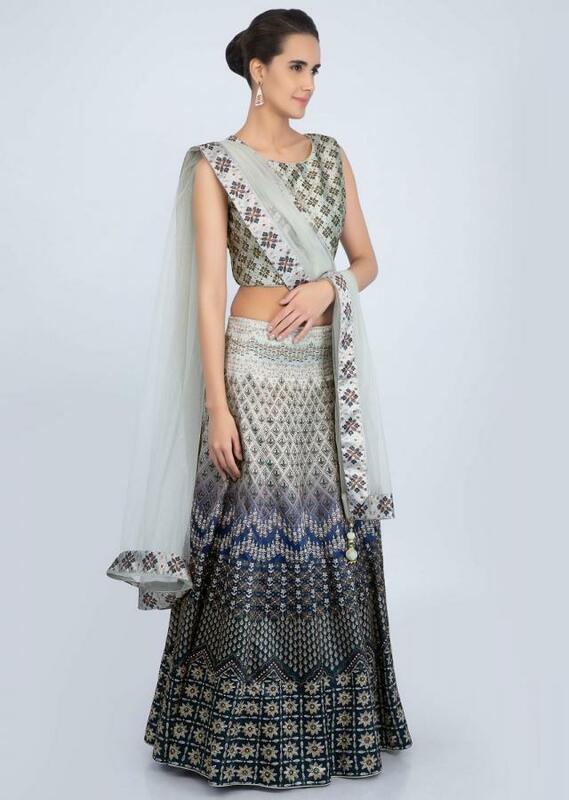 Sage green and mid night blue shaded satin lehenga . Featured in digital in floral motif along with kundan highlight. 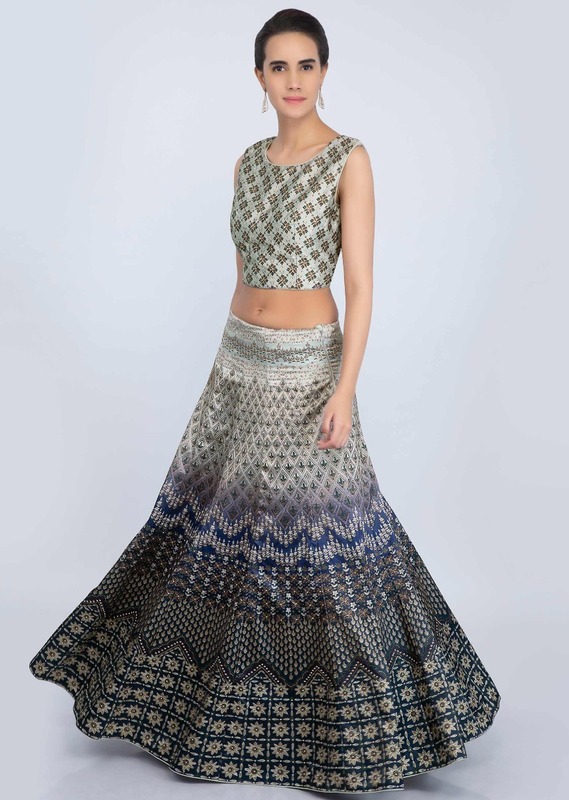 It comes with a matching sage green printed crop top. 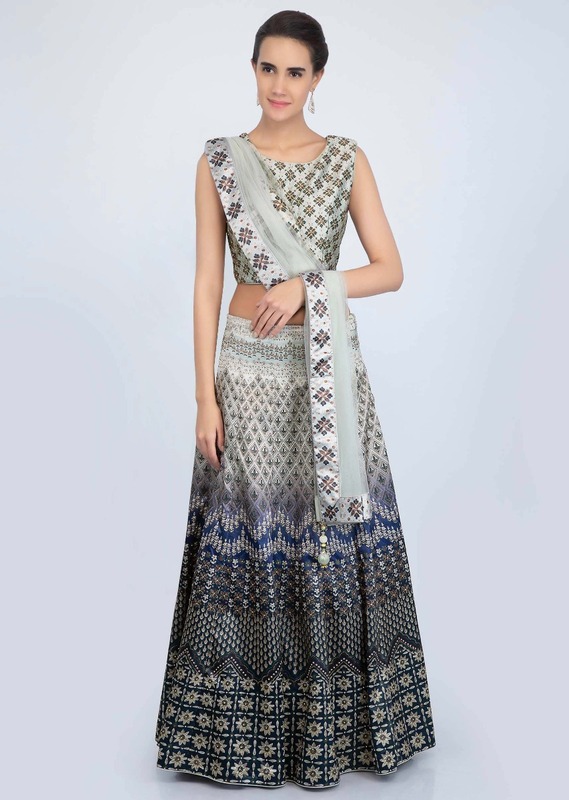 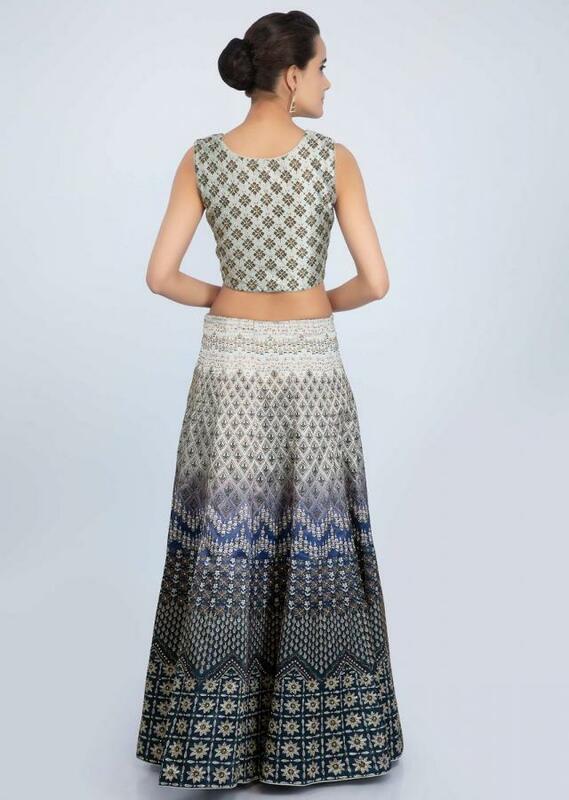 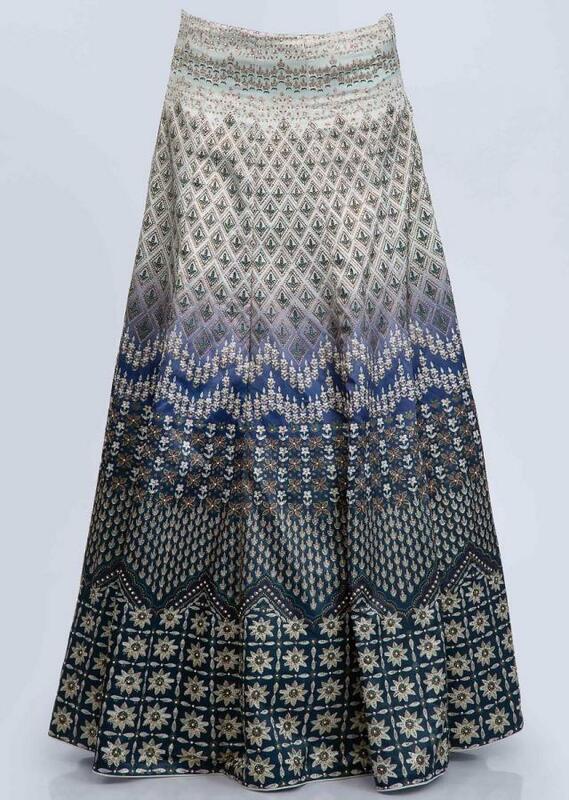 Paired with a sage green net dupatta with printed border.